Oh my goodness gracious! 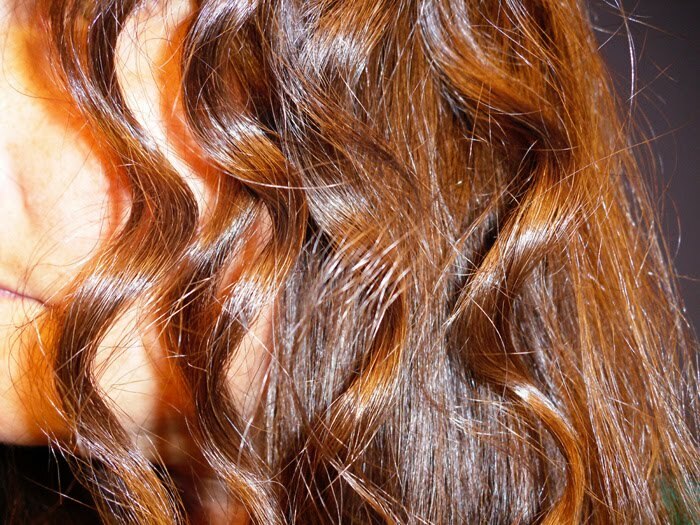 I love a great hair product (must be the girly girl in me! )- whether it's a straightening iron, curling iron, blow dryer, shampoo, hair spray, etc. You name it. I love 'em all! Up until now, the only items I have had difficulty using are the round brush (gets stuck in my hair EVERY time!) and hot rollers. I can add a third product to that list now- the curling wand. When I was contacted by Misikko to do a product review, I chose to work with the Corioliss Wand Ceramic Curling Iron 18mm. The uniqueness of the wand was what interested me. There is no clip to hold the hair in place, so I was quite curious how well it would curl my long, extremely thick, hair. I took it as a challenge. Clipless design. Not like the other traditional curling irons. When the package arrived from Misikko, I was so excited! I really couldn't wait to play with my new toy product! I was so surprised to find that Misikko REALLY spoiled me! Not only did my package contain the wand for review, but also inside were some really cool other products- hand sanitizer, Wisp disposable toothbrushes, facial mask, body lotion, nail files, and a silk rose. WOW! I am impressed by how Misikko treats their customers. Now, perhaps it was in all my extreme excitement about all the great goodies that Misikko sent to me, or perhaps it was out of pure laziness, but for whatever reason, I did not research HOW to use the iron. Nor did I pay attention to the warning label that the iron would be EXTREMELY hot, so the user needs to be responsible when working with the wand. At any rate, I hastily plugged in the iron, slipped on the included glove, and within 30 seconds, I was ready to rock and roll. Did I mention I should have paid attention to the warning label? Fumbling with hair that I was attempting to wrap around the wand and becoming increasingly frustrated that I had no clue WHAT I was doing, I managed to get my hair tangled around the iron. Well, again, WITHOUT THINKING, I tugged a bit too hard on the iron and before I knew it, the iron ended up resting on my forearm. It didn't take me long to realize what I had done, but it was too late. A big ole blister immediately formed on my arm. 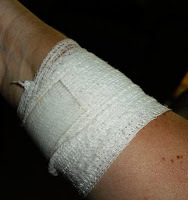 After a trip to Urgent Care, I received a diagnosis of third degree burn and was given instructions on how to care for it. Needless to say, I did not get to finish trying out the curling wand any more that day! A few days later, I researched a bit about curling wand on the Internet and watched a few How-to videos as well. I realized what I was doing wrong and decided to give it another try. I will absolutely keep this wand in my go-to basket of tools. I love the results, and with a little more practice, I think the curls will be even better! I am going to try for tighter curls next time. Misikko offers the Corioliss Wand Ceramic Curling Iron for the sale price of $99.99 (regular price is $130). There is also FREE SHIPPING- a great little bonus. :) Additionally, Misikko will send you this great Heat Proof Pouch FREE ($20 value) with your purchase. Misikko has a great selection of the best hair dryers and professional hair straighteners as well! If I were in the market for a hair dryer, I would choose the T3 Tourmaline Overnight Hair Dryer Travel Size. I like the size- perfect for travel! Additionally, I would love to own the TurboIon Croc Black NanoTitanium Flat Iron 1.5", as I have read great things about it! Misikko wants to offer one of my readers a chance to WIN a Corioliss Wand Ceramic Curling Iron. Very cool! To enter, simply visit the Misikko website, browse through all of the wonderful products they offer for sale, and then come back here and leave a comment telling me an additional product of theirs that you would add to your wish list. 1. For five extra entries, blog about this giveaway with a link back to living life one day at a time (http://colleenstearns.blogspot.com/) and Misikko (be sure to post the url to your post here in a comment so I know where to find it). 6. Follow living life one day at a time and Misikko on Twitter AND Tweet about the giveaway. Leave the URL to the Tweet in your comment. You can tweet once a day, but remember to leave the URL to each tweet. 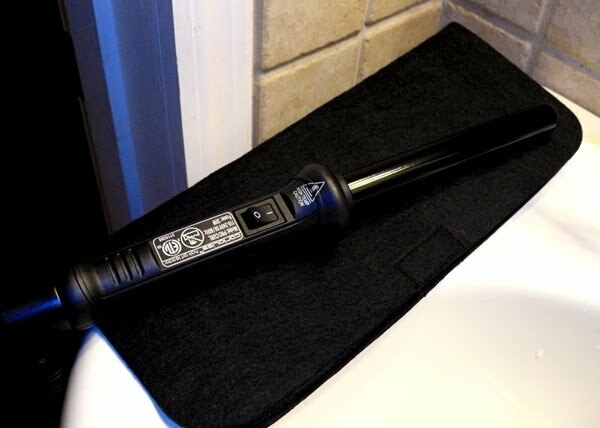 You can tweet "I entered to win a Corioliss Wand Ceramic Curling Iron from @Misikko & @livelifereviews. You can too! http://tinyurl.com/3amxet6 #giveaway " Make sure to leave a link to your twitter message in your comment. You can do this once a day. Please make sure to come back each day and leave another comment with your new twitter message link. There was no monetary compensation received for this review. I received a product from Misikko for the purpose of completing this review. Receipt of this did not sway my opinion. Sorry you got burnt, hope it is dealing well. Large Round Hair Brush to go with my hairdryer! I like the 100% ceramic flat iron. i would add the T3 Tourmaline Evolution Dryer to my wish list! following on twitter and i tweeted! I commented on your In the Kitchen with Kids- Brownie post. I did the man. entry but it didn't show up, sorry if this is a double post. a 4th of july tweet! I'd love to try Model in a Bottle!